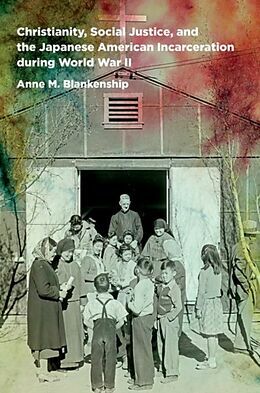 Anne M. Blankenship's study of Christianity in the infamous camps where Japanese Americans were incarcerated during World War II yields insights both far-reaching and timely. While most Japanese Americans maintained their traditional identities as Buddhists, a sizeable minority identified as Christian, and a number of church leaders sought to minister to them in the camps. Blankenship shows how church leaders were forced to assess the ethics and pragmatism of fighting against or acquiescing to what they clearly perceived, even in the midst of a national crisis, as an unjust social system. These religious activists became acutely aware of the impact of government, as well as church, policies that targeted ordinary Americans of diverse ethnicities. Going through the doors of the camp churches and delving deeply into the religious experiences of the incarcerated and the faithful who aided them, Blankenship argues that the incarceration period introduced new social and legal approaches for Christians of all stripes to challenge the constitutionality of government policies on race and civil rights. She also shows how the camp experience nourished the roots of an Asian American liberation theology that sprouted in the sixties and seventies.